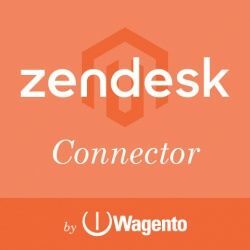 You guys, there is a ton of Magento 2 free extensions right there, but you don’t know exactly which one is the best for your store. 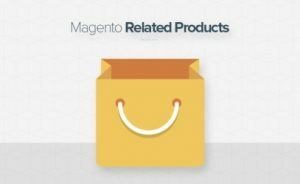 If you search Magento 2 extensions in the marketplace of Magneto, the result is more than 2,000 free and paid extensions. That’s a huge number to check every extension. However, you are wondering the difference between free and paid version of a Magento 2 extension. And you don’t trust free extension at all because it’s literally free stuff? You don’t need to pay any fee for a free extension, but the paid version you have to. I can’t just answer the quality of free extension is bad or the paid extension which is well. Unfortunately, using a Magento 2 free extensions that it’s risky because they will have a lot of bug or conflict to your system and taking so much time and energy to fix it. No one wants to face these trouble again and a paid extension seems to be the ideal and safe choice for your store. Yet, there are hundreds and thousands of free extension is acceptable that is waiting for you to discover. Some of them are good, others are bad. But it’s worth to try and test. These extensions include a variety of aspects of your eCommerce store: site optimization, sale and motivation, analytics, shipping and so on. To choose which one is relevant for your store that it’s really tough. You don’t want your store to be bugged and conflicted or getting more worse: destroy your system. There are two ways to reindex your data: (1) from the backend (2) using a command line. You can reindex data by one click simply. 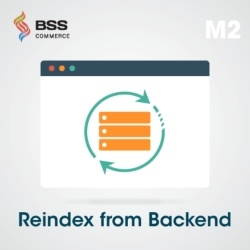 Reindex data from Index Management at Backend with only one click. Notification about the details of rebuilt indexers. Limit the ability to do the action by admin role. The PHP expires after 24 minutes of inactivity by default and then you are automatically kicked out of the admin panel. It makes you annoyed and now you don’t have to worry about being logged out automatically. Automatically send an Ajax request every minute to the server to keep your PHP session and browser cookies active. Keep admin logged in when a page is not reloaded for a long time. No limitation on the admin session. No more fear of losing data when saving. 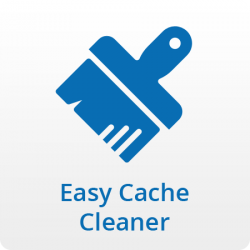 Clean all caches just by a single click. No need to select a cache. Admin can clean cache anywhere without going to the cache management section. Giving you a clear overview of the store’s performance and advice to improve if needed. Provide a dashboard page to notify the admin of store performance. Notify what needs to be improved, give recommended actions and show links to devdocs. Improve the speed of frontend, backend, cron jobs and reduce CPU usage. To helps admin detect any suspicious attempt to access the admin panel and easily notice if someone or a robot is trying to log in the back office with the basic information: IP, last attempts, attempts, the number of failed and successful. Check the summary table and detailed information of all login attempts. Create a statistic report and send to admin email. To provides all necessary information of the current page load and tracking of template file path. The developer will love it! Allows admin to view full file path, block data information, handle names and associated template files. Thís plugin helps you to set up the online store for a national market. Also, It is developed after the successful release of Magesetup extension for Magento 1 on Github. Current support: Austria (at), Switzerland (ch), Germany (de), Spain (es), France (fr), United Kingdom (GB), Italy (it), Netherlands (NL), Poland (pl), Romania (RO), Russia (RU). You can change the attribute set in catalog panel of Magento backend without bug and conflict to the default of Magento. Easily customize the attribute set as you wish. 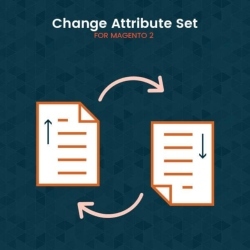 No conflict with the Magento default attribute set. Create loading indicator for both the frontend and backend. Automatically monitor the ajax requests, event loop, and the element of the page to begin the progress bar. 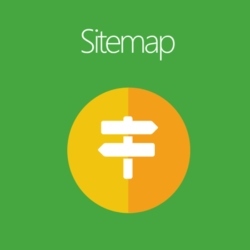 It is easy to put your website into maintenance mode while you update the site or new features. And no need to use FTP or SSH. Set the website in maintenance mode. Display a custom maintenance message for guests. Gift-wrapping your products can make your business differentiate from other competitors. 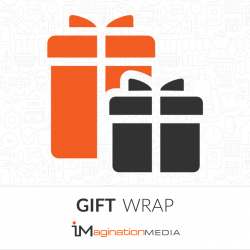 To boost holiday sales by allowing customer purchases gift wrap for their order. Purchase a gift-wrap during checkout their cart. Easily to select wrapping products in single or multiple packages. Identify whom Magento 2 gift-wrap is being sent from or to. 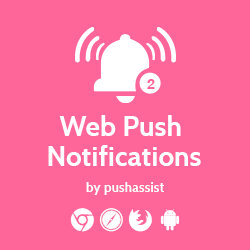 This Magento 2 free extension by PushAssist aims to create push notifications in customers’ devices to notify customers about personalized offers, special discounts or other promotion programs. Moreover, to re-engage with the loyal customer with target push notification. Making out of this extension free to encourage online users to visit your stores again and make them become your regular and loyal customers. Create on-time push notifications to all or segment of a customer via desktops, laptops, tablets and Android mobiles. Make use of push notification to launch a marketing campaign. Divide customers into separate segmentation. 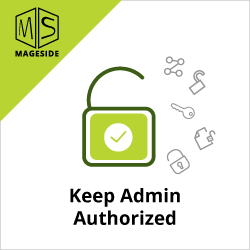 Allow admins to use APIs, FCM/GCM keys while using. This free extension is a perfect choice to attract more customers in this Holiday sales season with eye-catching banners on screen. Admin can easily show their offers, special discounts or promo codes to raise customer’s spirit to make a transaction in their stores. 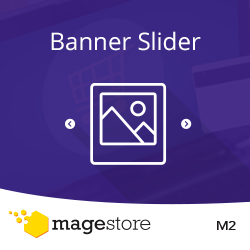 Create and modify how and where promotional banner display in the backend configuration. Offer 15 different themes of popup banner for popular holidays. 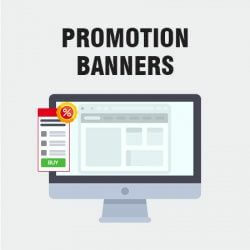 Add up to three promoted products into a banner. Normally, customers often consider carefully before deciding to purchase any products. 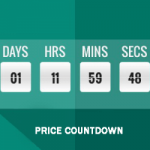 A countdown timer will appear right below the sale price by creating a sense of urgency to drive clicks on “Buy Now” button. Admin can easily set up which date the promotional price is available from and to. Assign a promotion campaign to specific products or categories. 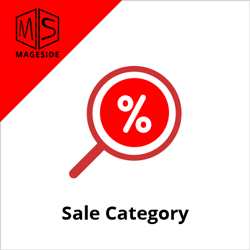 Admins can select each product at a special price and put them into a specific category with Sale Category plugin. Automatically search for and select promoted products to Sale category. Admin can choose to collect or not: out of stock products, products without images, products whose regular price is lower than special price. The exciting solution to a loyalty program with a customer that you want to create a long-term relationship by offering the reward points. For each order, customers will receive a certain number of points, which can be transformed to a discount at the next checkout. 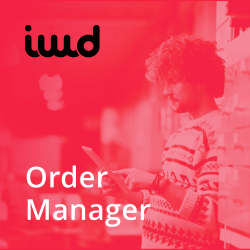 Admin can set up the number of points for each order in backend configuration. Points are automatically added to customers’ account and can be used for registration, submitting reviews, sharing wishlist and discount while checkout. 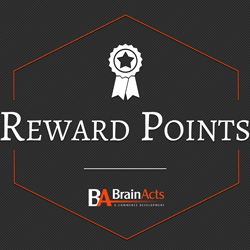 Reward Points History and Points Balance will be automatically updated. This is an easy way to look out all the wishlist product by the customer. You can contact and email them to remind their product in wishlist that is able to boost your sale. 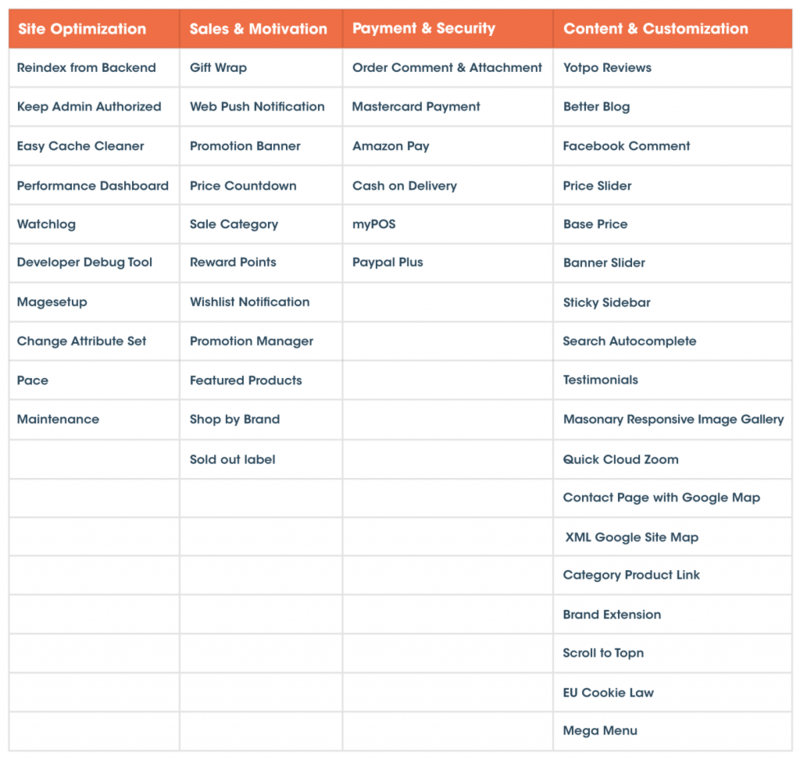 Manage all customers’ wishlists in the backend grid. Easily click to see customer information about name, address, current wishlist, and newly-added item. 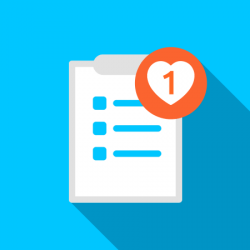 Contact customers and give them offers for the product in their wishlist. Simplify backend activity by the easy control when products in wishlist are reviewed. One of the best Magento 2 extensions free from the well-known Amasty that is definitely worth to try. This module can simplify the promotion management process with the expanded price rules grid that applies single or multiple rules right on the grid. Show promotions in a handy grid view with all related information including rule type and discount amount. Enable/disable or delete rules and coupons in bulk. Duplicate rules at an instant. 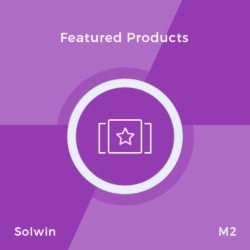 If you want to promote a specific product, you should never miss this Magento 2 free extension by Solwininfotech that allows admin to set any product as featured products quickly just by some clicks in an attractive way. As a block that can be placed anywhere. As a slider in the sidebar. 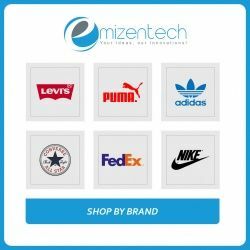 To manage your products and brands that help customers can find their desired products easily by brand name without wasting their time to sort and search product on your store. Display brands in alphabetical order (A to Z) to simplify the searching process. Show brands in a specific category or the left/right sidebar. Promote brands by setting up as featured brands on top of the brand’s list page. To enable admin to mark out-of-stock products with a visible sold-out label. Therefore, visitors now no longer have to click on the products to see if the item is available or not. Display a sold out label automatically right when the quantity is zero. Use a custom picture as sold out a label. Modify position of the label in the product page. Set text and image for the label. It is possible for customers to leave their comment to their order in the checkout process. There is some new way to increase customer’s satisfaction. 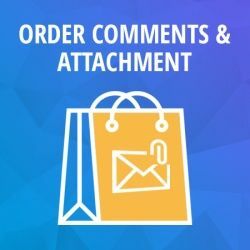 Enable customers to submit their comments and attachments during checkout. Admin can also decide what type of attachment can be submitted in the backend configuration. 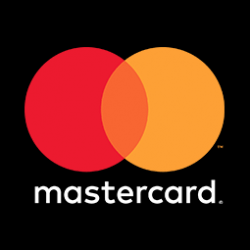 To optimize the checkout process in your stores by integrating Mastercard gateway to Magento 2. Absolutely, there is more choice for the customer to pay out. API will be directed to sellers to determine payment details. Collect customers’ account details safely by using Mastercard Payment Gateway Services’s hosted checkout light or other payment sessions. Process transactions quickly by one or two steps. Use 3-D Secure and Verification and Security Code policies to authenticate cardholders. Automatically save card details for following transactions. Avoid fraud by GateKeeper 2.0. Log in Magento 2 websites with their existing credentials: name, email address, shipping address and phone number. 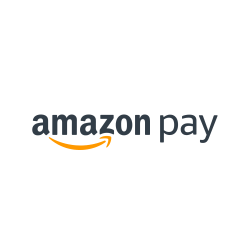 Checkout their cart with payment methods available in their Amazon accounts. Cash On Delivery is always a common method in e-commerce. 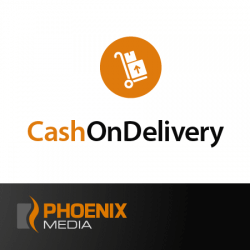 Thanks for Phoenix Media GmbH to enable adding a fee to their order that your customer will be charged off during the checkout process. 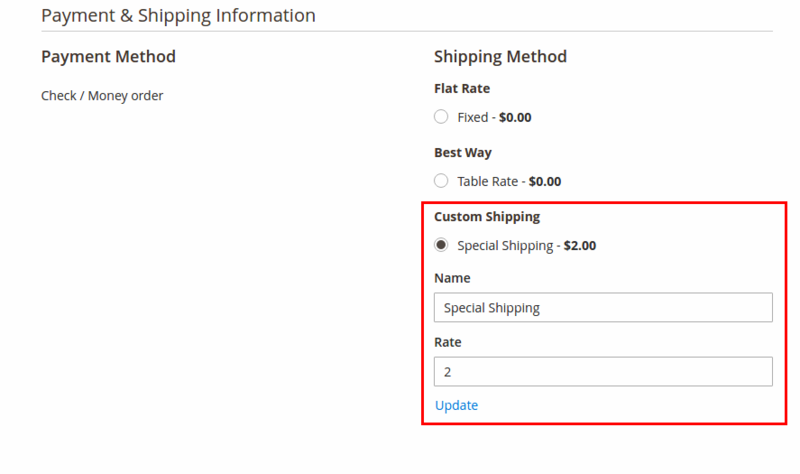 Easily set up an additional Magento 2 cash on the delivery fee per order: fixed or percentage, minimum fee, domestic/global fee. Support Magento 2 payment restrictions to selected applicable countries where Cash On Delivery method is enabled. Associate Cash On Delivery with other shipping methods. 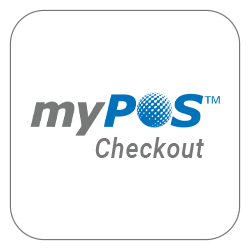 This Magento 2 extension launched by myPOS Europe also supports credit card payment in-store, online or over the phone. Easily enable credit/debit card checkout. Fully PCI Compliant Service and 3-D Secure Payments to enhance security and avoid any fraud during the transaction. This extension’s main idea is to provide over 80% German customers with PayPal, Credit Card, Direct Debit (ELV) and Pay Upon Invoice payment methods. Allow customers to log in by their PayPal account to continue checkout. Fully secured for both sellers and buyers to avoid fraud or losing card details. 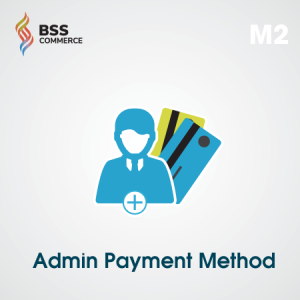 Admin can integrate PayPal plus with standard Magento payment methods as well as other ones. Helping your brand easily to collect customer reviews and photo to increase trustworthy and social proof to the customer. Building the stronger brand and customer experience should be your priority mission. Allow customers to generate product reviews, photos and ask questions on Magento 2 websites. Enhance product credibility to boost business revenue. Friendly display for mobile users. If you are familiar with doing SEO for E-commerce, you must have known that a high-quality blog has a significant effect on your ranking. However, in default, there is no Magento 2 blog functionality yet. 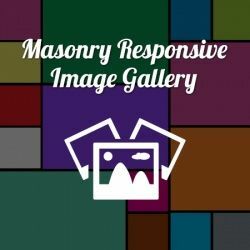 A responsive design for PC, tablet, and mobile. Easily edit with blog widget and manage blog content with tags, topics, and categories. Optimize your post with meta data, friendly URL. 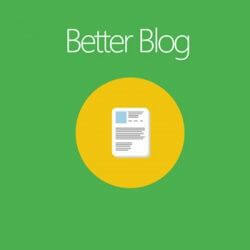 In the blog interface, visitors are free to comment via Disqus and Facebook. Social sharing is also enabled via several platforms. Instead of using any APIs or paying extra fees to third-party services. 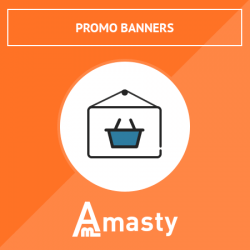 Amasty’s Magento 2 free extension seems to be a perfect choice to increase page reach and search engines. 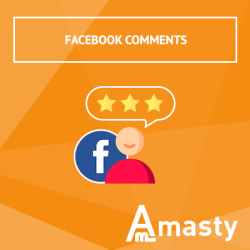 Enable visitors to post comments via their Facebook account and duplicate comments to a Facebook timeline. 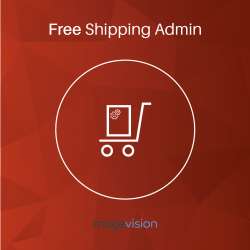 Admin can easily embed customers’ comments into any place in Magento 2 stores. Modify how customer reviews are displayed in product pages. Customers can easily modify the price slider to find products in their price range. 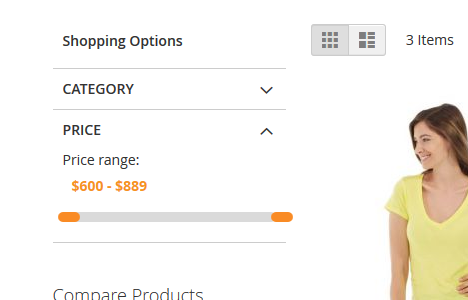 Show price slider in category page and search page. Support multiple store views and currencies. Flexibly manage base price for their products. Select suitable units for their products: kg, mg, g, l, ml, etc. Easily add or delete a product unit and its conversion in backend configuration. Determine how base price is displayed on product pages. To display any number of responsive banner sliders on your site without too much effort. Such a great deal for a Magento 2 free extension, right? Up to 36 banner position to choose from homepage to product or category page. Allow you to add more effects to the banners with the text message, URL. The banner/slider report will show the statistic to analyze the effectiveness of your work. To display the cart summary with product image, price, qty box, add to cart button, etc. right at the fingertips of shoppers. 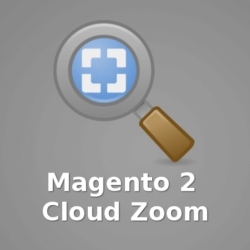 This module is one of the best Magento 2 free search extension to enhance the user experience by displaying instant search result while customers are entering characters like the Google Search Engine. Determine the search delay period between when customers first enter the character and a search result appears. Product details (name, image, price, short description, etc.) will be shown in a pop-up search result. Sort search results based on relevance, price or name. Choose the number of products that appear at the same time. An “Add to Cart” button can be set to display in a search result to shorten checkout process. To allows customer leaving their opinion and rating star to your store. That’s a great way to increase your trustworthy to the eye of customer and user experience in the process of buying products. Customers can rate a website on a 5-point scale using their Twitter and Facebook accounts, enter the company name and website link. Admin can easily manage the display of testimonial listing in Magento stores. 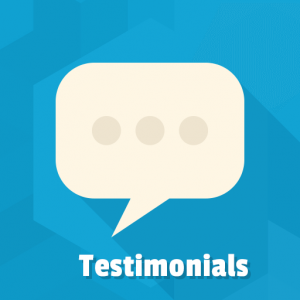 Redirect guests to the page where testimonials are shown. To take full of control over the rich image gallery. Not only can admin add and manage any number of images but customers can also get more product information. Giving online shoppers look closer to the product will be likely to increase the conversion rate. 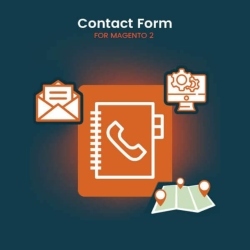 To assist some customers to find out the exact location of Magento stores instead of clicking on the Contact page to look for more information. 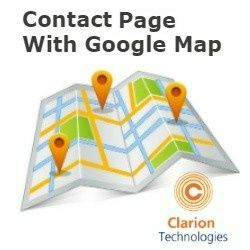 Create and modify a Google Map display of store location in the Contact page. Determine exact location by entering latitude and longitude. Customize Contact page layout with columns and sidebars. To simplify the editing process by using a column “Edit” next to each product in Category Products section. Then, you will be redirected to the product edit page right after tapping this column. To separate your product lists such as Latest, New Arrival, Special for a searching product by customer’s attention. 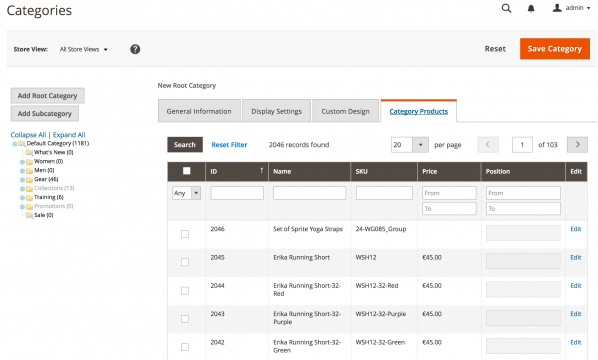 Display 2 types of a widget and up to 9 types of product lists. Improve page speed by using AJAX. Easily choose where to display product lists. Modify layout customization and tab effects. 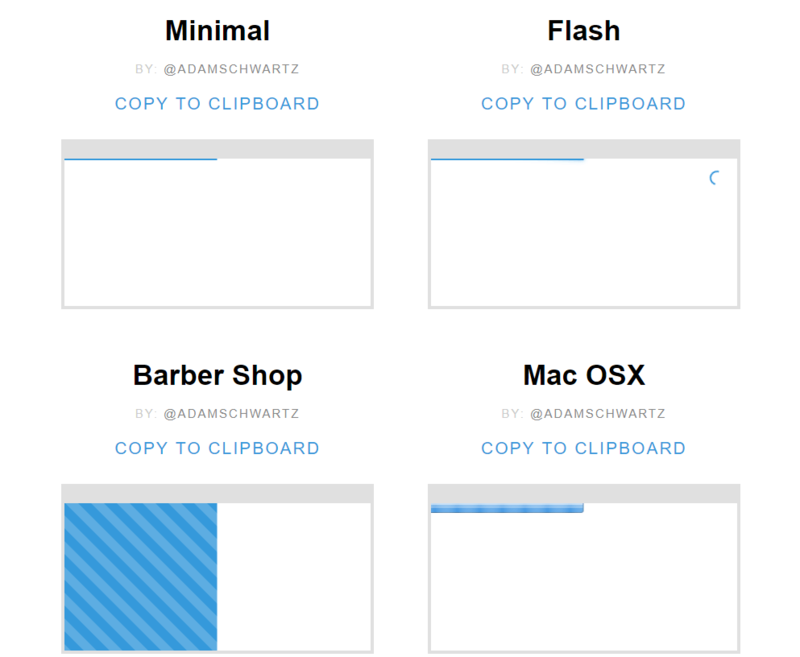 Optimize with different devices: Desktop, tablets, phones. Configure rule conditions to determine which products will be shown on screen. This Magento 2 free module is specially released for stores that contain products from different brands like Walmart, Walgreens to show all your brands with logo and a short description to help customer search for the product by brands. Create multiple brands with names, logos, meta descriptions, etc. Optimize with different devices by using owl carousel for tablet and mobile. 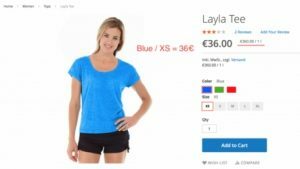 Different layout for Magento users to select and modify. SEO-friendly to boost site rank. Set up a “Scroll To Top” button and modify its color, text, images. Choose to place this button on the left or right side of the screen. The user can save their information on users’ devices if they allow cookies. 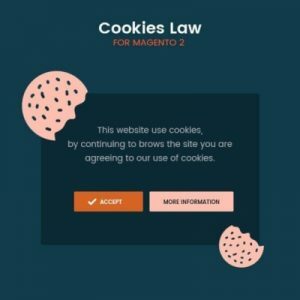 However, if Magento 2 admin does not understand clearly Cookie Law, they might face a problem. 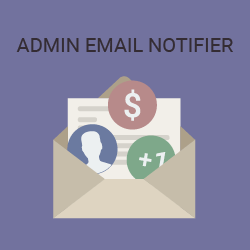 Allow admin to create and modify an alert message to notify users whether they allow cookie or not. 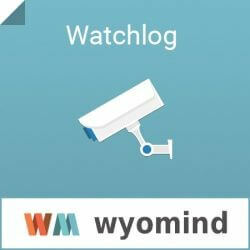 Store user information on users’ devices for the next times. 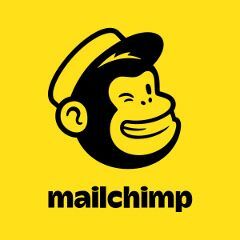 With up to free 12,000 emails per month for under 2,000 subscribers, MailChimp is among one of the most popular email marketing platforms that can implement and manage marketing strategy properly. 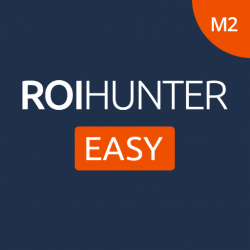 View detailed reports on the performance of your email marketing campaign. Build your own subscription form. 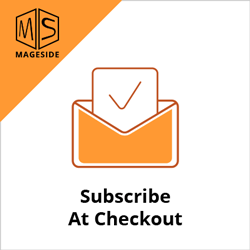 Add a subscription checkbox with a customized label at the checkout page. Enable/Disable selected checkbox by default. Allow admins to force-subscribe guest customers. 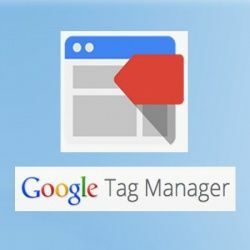 To integrate Google Tag Manager on your store in reducing errors and bugs. Saving time and effort to tracks the business process related to your store’s performance. Amazon Simple Email Service (Amazon SES) is one of the most popular and cost-effective email services based on scalable Amazon.com infrastructure. 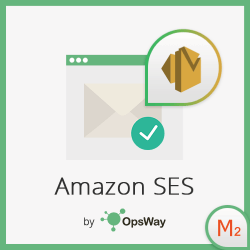 To replace basic Magento 2 mailer with the ability to send all your emails through Amazon SES. To allows placing social block such as a Facebook widget, Twitter widget, Pinterest widget no matter where your page is in. That way, complex registration will be shortened and streamlined within one or two clicks. 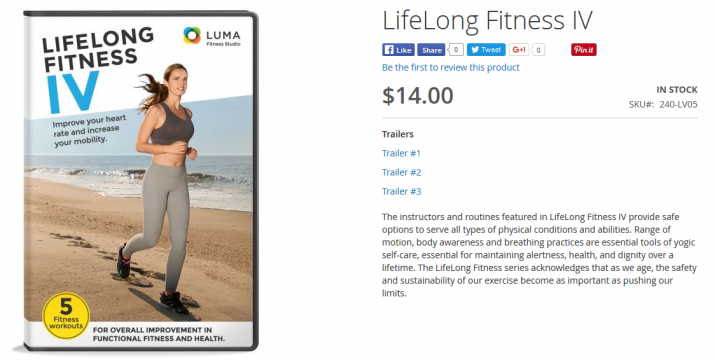 Provides line-item level details for Add To Cart and Checkout for audience building. 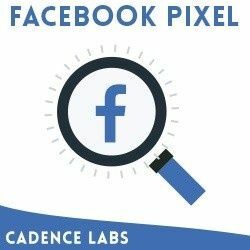 Facebook Pixel is similar to Pinterest Tag in tracking different event on your website and build audiences for Facebook Ads. 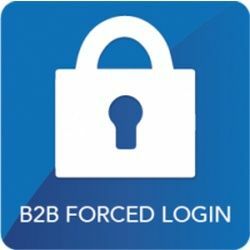 To help admin easily restrict wholesale customers to B2B registration page instead of accessing the default create-account page. Allow clients to create support tickets. Store admins are enabled to pull support tickets per client. Respond and give support form from Zendesk account. Enable customers to see a response from the firm in client’s dashboard. 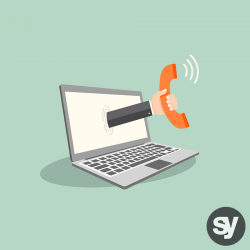 Allow customers to send a request to call back by filling in a form. Record and remind store admin a list of client requests in the admin panel. To notice customers with shipping information about their orders. Easily access order tracking by multiple ways: via their registered email or “Track Your Order” widget on Magento 2 pages. 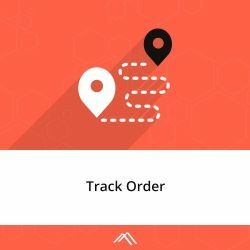 Get an instant update of delivery by using Real-time Order Tracking by AJAX. 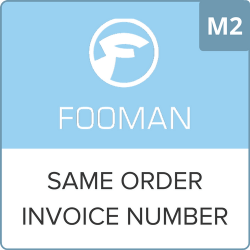 Receive order summary at frontend stores for registered customers or via email address for guest customers. To help store owner building trust with the target audience by showing all the customer’s question and answer in one place that admin wants. Allow admin to add any numbers of the FAQ. Easy to manage and edit categories anytime. 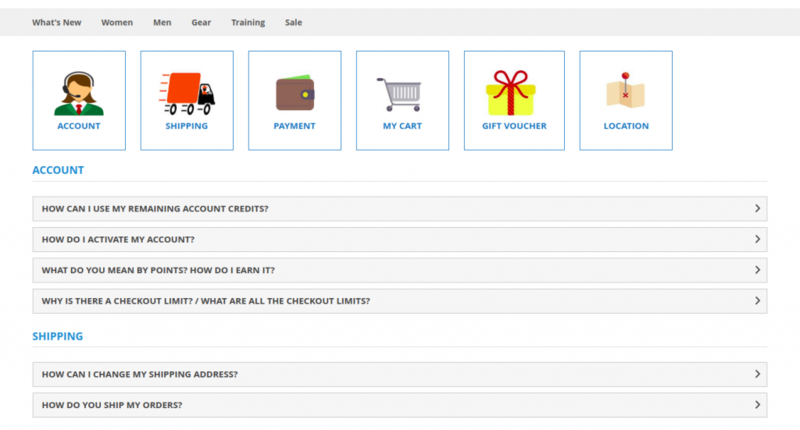 Add faq or faq group with store view or customer group visibility. Add images, icons, widgets in the FAQ page. To build the network between store owner and customer to be more engaged. Customer will easily reach to you for customer support. Create the desired format to receive the data. Easy to take a look at all the requirements in the admin panel. Set store’s location by Google Maps. 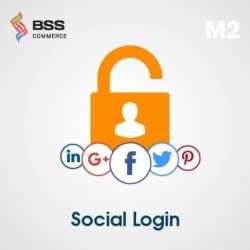 Ease of management of customer action by registering new account when entering your store. Store admin is free to enable/ disable this extension as demand. Require customers to log in or create a new account. 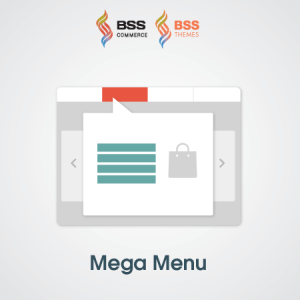 Enable customers to view all pages and orders after logging in. To assist value-added tax (VAT) with country code from Europe customer. Enable automatic assignment to a customer group. Allow Magento 2 to accept VAT with prepended country codes for European countries. 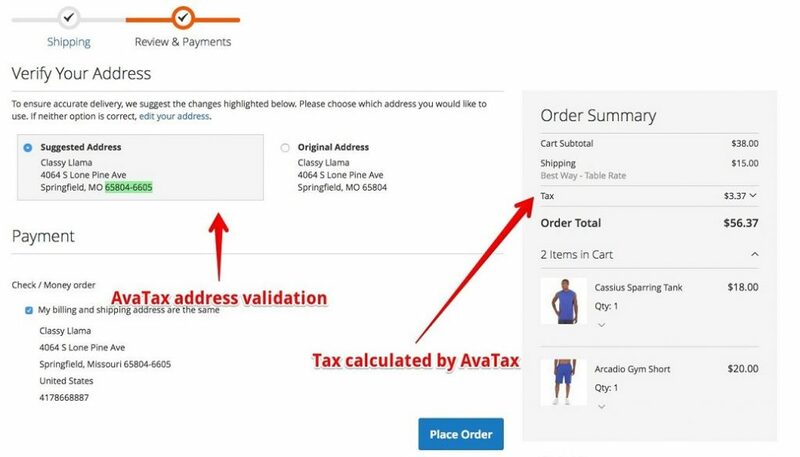 Ava Tax is considered the fastest and easiest way to calculate exactly sales tax for a store, even in multiple countries. Exporting easily all the custom attribute of products in CSV file. Choose specific custom attributes to apply module. Auto update new custom attributes in module config. 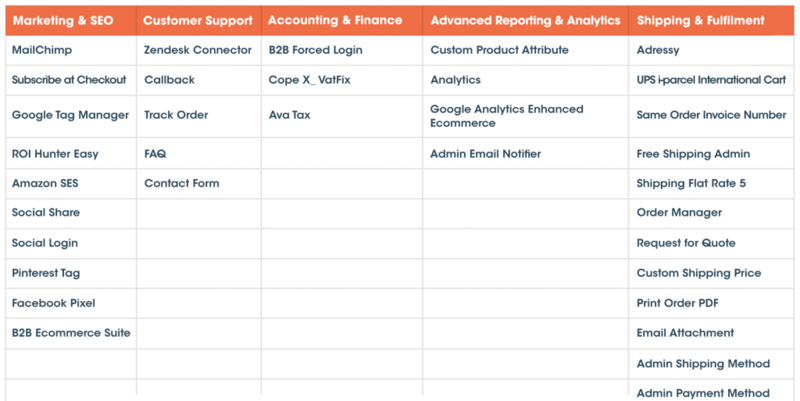 Three reports which are sales overview, sales by product and sales by attribute. Comparison feature within products or time periods. The filter can be applied by order status, order creation or update date. The aggregate data by month, quarter or year, on the other hand, gives an overview look to watch over your business. 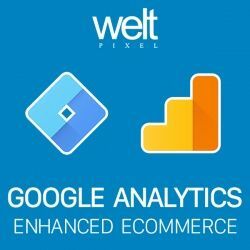 It looks like the upgrade version of Google Analytics for Magento e-commerce. The advanced reports plugin can help store admin to add, edit or remove marketing and measurement tags without the intervention of webmasters. Integrate and create a tag with Google Analytics, Google Adwords automatically. Follow and manage product impressions and clicks in the Category Page or Search Result Page. 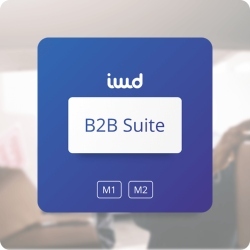 Enable to control transactions from configurable products. Manage many times an item is added to the cart or deleted from it. Track every step in the checkout process (Shipping, tax rate, bill address and so on). Control sales by product attributes, products in stock or not. Be flexible in choosing which types of notifications received. Easy to customize email templates for a different response. Easy to add multiple recipients. 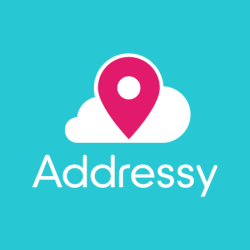 Getting an accurate address in shipping information that helps to reduce the fail delivery rate and also fraud orders for customer checking out. 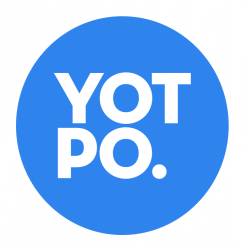 Validate with official delivery point data – from suppliers like USPS and Canada Post. To take care of all of your issues including international checkout, currencies, payment methods, fraud handling, and shipping. To solve the problem with the limitation of having only one flat rate shipping method available in Magento. Now admin can provide multiple flat-rate methods based on different prices and conditions. A set minimum/maximum order amount for free shipping feature. 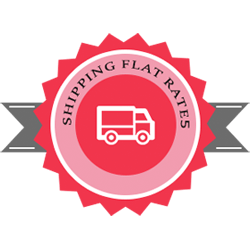 Configure the shipping price for each of flat rate shipping methods in a fixed manner. Admin can select Type and based on the same it can charge to customers. 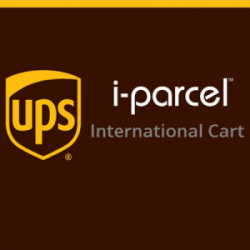 Enable specific flat rate shipping method for specific or all countries. To help store owner easily to manage quotes from the client and send the exact estimated cost without the hand-made proposals. 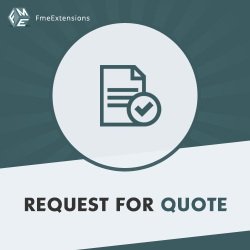 The request form includes essential information for any quote requirement: name, email, brief, phone number, and file attachment. Featured with an automatic validation form fields and email alerts for admins. Easily manage the quote request with a handy management interface. 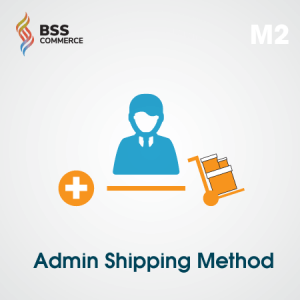 To give you freely the ability to apply any shipping price while creating order in the admin panel. To print order in PDF file with all needed information of a customer. 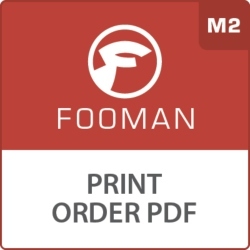 Print a single “Order Confirmation” PDF document which contains multiple orders, from the Order Overview screen. 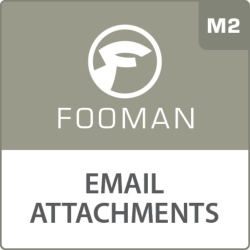 Automatically attach the customer’s order, credit memo, and shipping to PDF file. However, if you are a beginner or non-tech savvy to Magento 2 platform that it’s quite tough to explore all of the features of Magento 2. 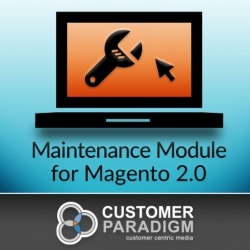 To answer your question relates to maintain and develop Magento platform. Now you can learn more about it by reading these useful and detail information. 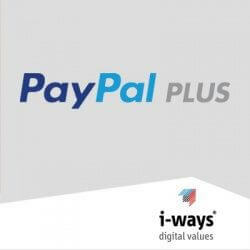 If you want to apply Payment gateway and Service for a customer: Mastercard Payment, Cash on Delivery and Paypal Plus. Exceptionally, you face a lot of trouble from the default of Magento setting and you want to optimize the functionality and module of Magento 2 in the back-end. They will help you so much! Check these extensions right now! Usually I don’t learn article on blogs, however I wish to say that this write-up very compelled me to take a look at and do it! Your writing style has been amazed me. Thanks, quite great post. Excellent and super useful article! whoah this blog is fantastic i really like studying your articles. Stay up the good work! You already know, many individuals are searching around for this information, you could aid them greatly. Thank you for taking time in putting all together. I was searching for some useful and free Magento 2 extensions and came across this article, found lots of helpful extensions and information. Great list and thank you for sharing. 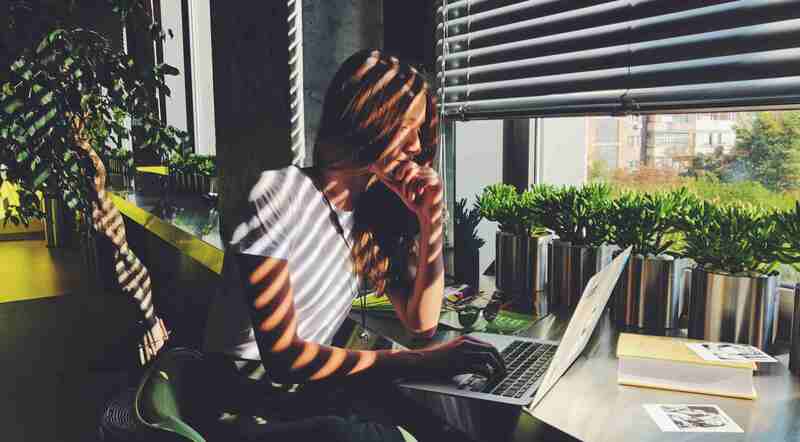 Let’s face it – when looking for top Magento Extensions, finding the right Magento extension can be an overwhelming task. Gone are the days when you would just check the ratings of each extension and select the one with highest ratings. Nowadays, it’s not that simple. In fact, any Magento Development Company would agree. Even if you hire Magento developer, with thousands of Magento Extensions available to choose from, it can easily take large chunk of his or your time figuring out which is the right Magento Extension for your website. We can not agree with you more, choosing the right Magento extension is no longer to look at rating. Hence, we’ve come up with this Top 100+ Best Magento 2 extensions free with a brief overview of each one, so it is easier for you to make decisions.